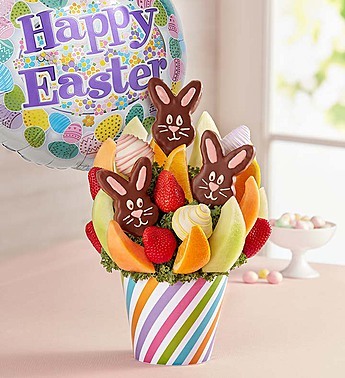 The Easter Bunny’s got nothing on this sweet fruit creation! 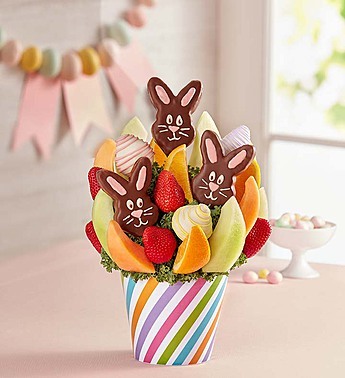 Filled with chocolaty strawberries drizzled with colorful pastel chocolate, adorable dipped bunny-shaped pineapple slices with smiling faces and a mouthwatering mix of melon, oranges and more, it’s the perfect treat for sharing at your holiday gathering. Add to the fun with a festive balloon.